Okay so I've been self harming for 3-4 years now and in that time, the longest I went without SH was 7 months before I relapsed recently actually. For the other times I think the longest I got was 3 months but when I'm not actively trying to stop I'm doing it more than once a day. So currently is one of those times I am actively trying to stop even though I haven't even made it to two weeks yet, although tomorrow it will be if I can get through today. This is just so hard. I mean, yesterday I went and found where I can buy blades from and today I ended up buying a pack which had a ridiculous amount in which I obviously don't need, but I did it anyway and I have no idea why. I bought them online and I wasn't even planning on buying them, I just did. I'll probably promise myself I won't use them and then use them anyway as well. One of my friends has told me to tell him whenever I feel like relapsing but I don't know, I just don't want to upset him or ruin his night with my problems. I always feel like I'm bothering people which obviously makes things a bit hard considering I make myself deal with everything by myself but at least I'm saying something here so I can get some help once in a while. I almost relapsed yesterday but I had someone walk in just before I did and they didn't even notice but they stayed with me anyway so I didn't end up doing anything, which now I'm grateful for but honestly it just made today so much harder to get through. I'm not exactly sure what I'm asking. Everything is getting too hard to deal with and I actually don't think I have any reasons not to SH at this point, as long as no one finds out it's not like it affects anyone but me and I am not that important so I'm fine with that. Well anyway, thanks for reading and have a nice day. I hope it was helpful to write this. I know sometimes even just getting something out can make a difference. You said if you're not actively trying to stop, you self-harm more than once a day. May I ask if there is a pattern? For instance, do you self-harm at the same time each day? The reason I ask, is because self-harm can sometimes become as routine as brushing your teeth for some people and if that is what you're experiencing, you can try to find something to replace self-harm during the time you'd normally do it. When your blades arrive, maybe you can put them in a place that is difficult to get to. For instance, you can put them on the top shelf of your closet with other things above and below them. Having them in a difficult place can be a good deterrent. You can also put them in a different room. So, instead of storing them in your bedroom, try storing them in the hallway or the kitchen. The idea here is that you will find a few distractions on your way to get to them. It can be hard to reach out to people, especially when you feel like you're a bother. That is an unpleasant thing to feel. I hope you reach out to someone when you feel like you can, but remember you have the people on here. dealing with self-harm is difficult, but not impossible to overcome. There are a few things you can try to do instead of sh when you feel the urge. The way I personally prefer is drawing on these parts of the body you feel like harming. For instance, take a colourful marker pen and draw bold lines. It especially works if you press the marker against your skin. It may cause allergy, though the usual marker pens shouldn't do so. 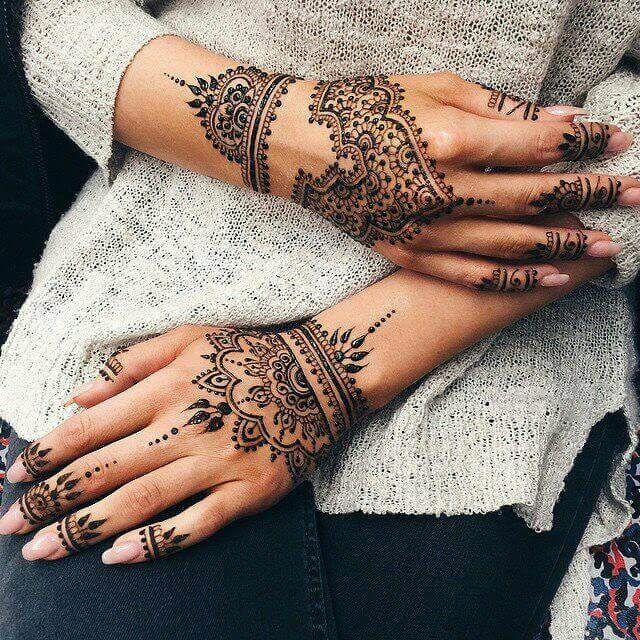 Another thing you could do is making something similar to a henna drawing (https://s-media-cache-ak0.pinimg.com/736x/4f/ed/5/4fed52e60743ffa5eb544d86493e4193.jpg). What I find relaxing in making henna is that you have to concentrate on the precise lines. If these don't work, try something from this list (http://www.teenhelp.org/forums/f12-s...ves-self-harm/) if you haven't visited it yet. I totally understand your insecurity connected to your friend's potential reaction, but to be honest, I think he wouldn't have told you to contact him if he didn't want to help. Try to talk to him when you're feeling down, and observe his reaction. Maybe he'll be understanding? If contacting people you know in reality fails, always remember that we're here to help you whenever you need. I hope I helped a tiny bit. Feel free to message me anytime if you would ever like to do so. Take care. Typing this out did help actually, and thanks for the replies. There isn't a pattern of when I do it, it's more all over the place. Most of the time they aren't even at similar times compared to the next day. I've never seen it as a routine really. I could put them in a difficult place to reach, I know where an appropriate place would be actually so thanks for that suggestion. I have been trying several alternatives for a while now, while I've been trying to stop. When I draw on myself I use a sharpie which I don't get a reaction to. That list of alternatives has been very useful sometimes, so thanks for linking it. I know he wants me to talk to him about it and he constantly tells me that I'm not annoying him and there's nothing I could do that would annoy him, but it's so hard to believe that. I talk to him about other things but I only talk to him about this if he brings it up. I'm glad I've got here as well, thanks again to you both. I hope putting them in a place that is difficult to reach is helpful for you. Drawing on yourself is a good alternative. I know it has a similar feeling. You could write positive quotes or phrases or even just draw different things, like butterflies. You could try fake tattoos as well or you can look into tattoo pens. I used to use stencils and tattoo pens to help keep myself grounded. If you only talk about it when he brings it up, maybe you can ask him to bring it up more often to help keep you accountable. For instance, he could ask every other day or a few times a week to give you the opportunity to talk about it. You can also try journaling or blogging as well so you have a safe place to talk about your feelings. Many people regularly blog here on TeenHelp and they find it beneficial.